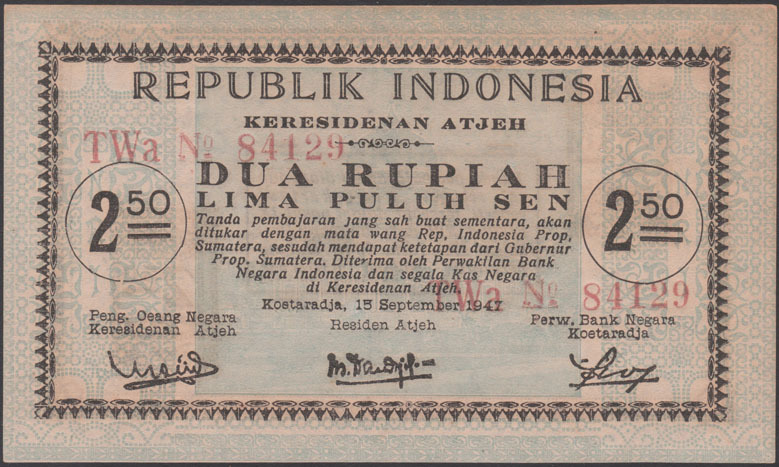 The most nothern part of Sumatra is called Aceh (Atjeh) province. 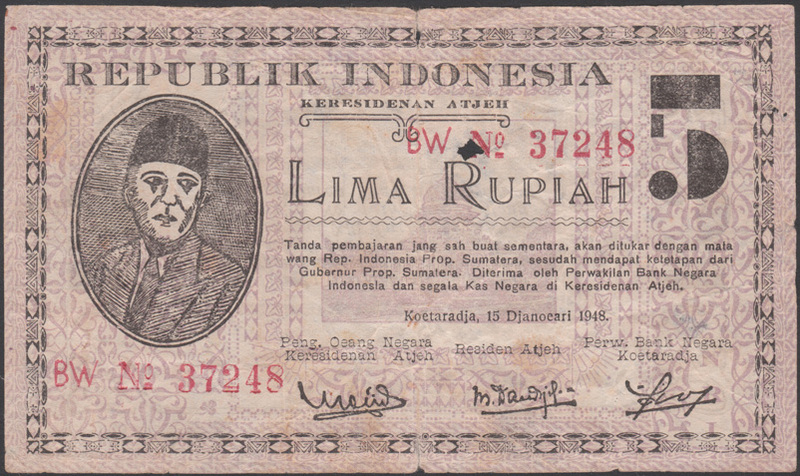 It is one of the Indonesian provincies that carries a special autonomous status, officially recognized by law since 2001. 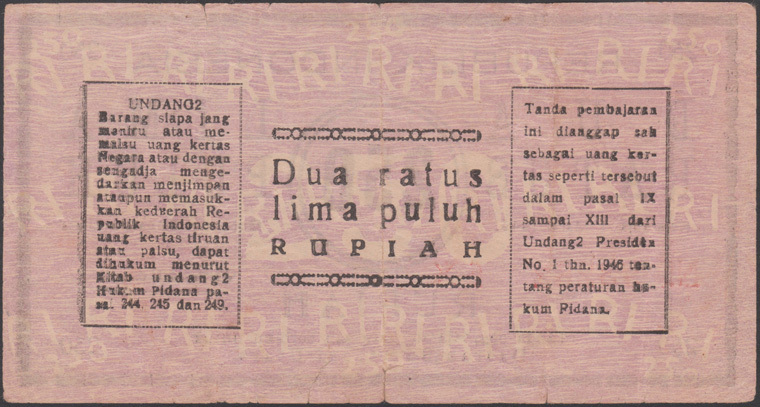 Banda Aceh is the capital and was previously called Koetaradja (Kutaradja). 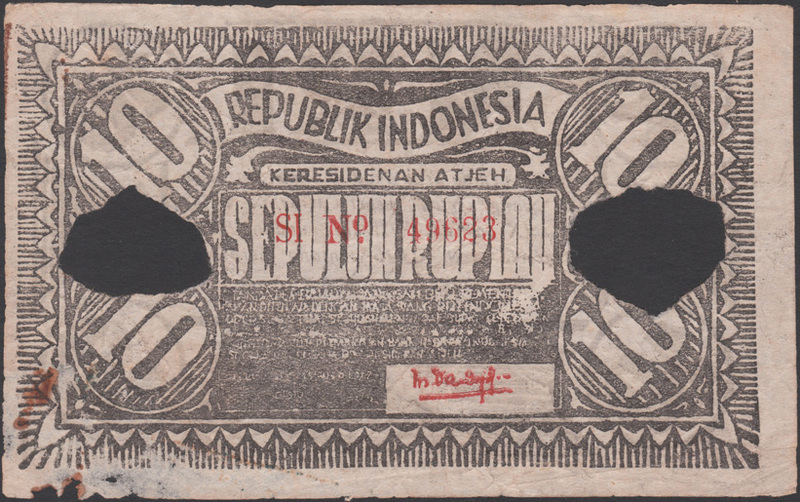 From approximately 1300 to 1800, Aceh was an independent Islamic Sultanate. 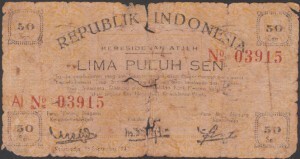 Although the Dutch were already present in the area for several years, it took until 1873 before they organized a first military expedition to conquer Aceh. After an initial failure, they tried again in 1874 and finally succeeded. 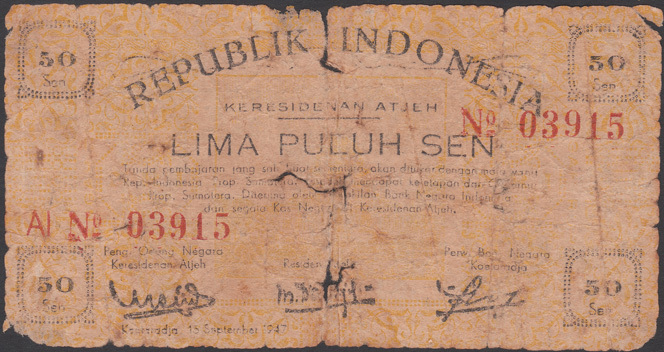 The Dutch occupied Aceh until the second world war in 1942, but during the occupation, the Aceh people never gave up their struggle and kept fighting a guerilla war against their enemy. 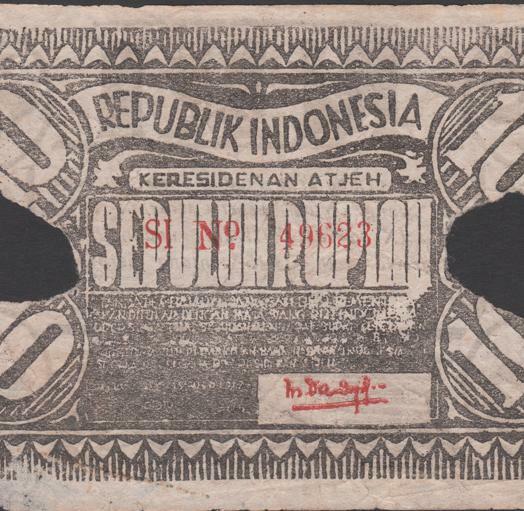 The so-called Aceh war was the longest battle that was ever fought by the Dutch and cost many lives on both sides. 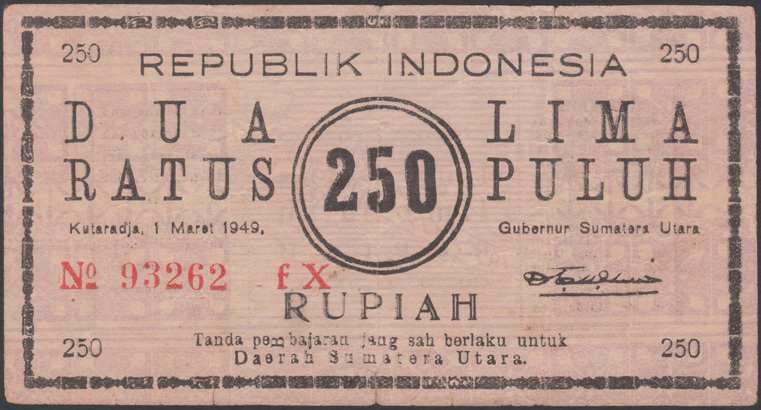 After the Japanese surrender in 1945, the Dutch were never able to re-gain their rule in Aceh due to fierce local resistance. 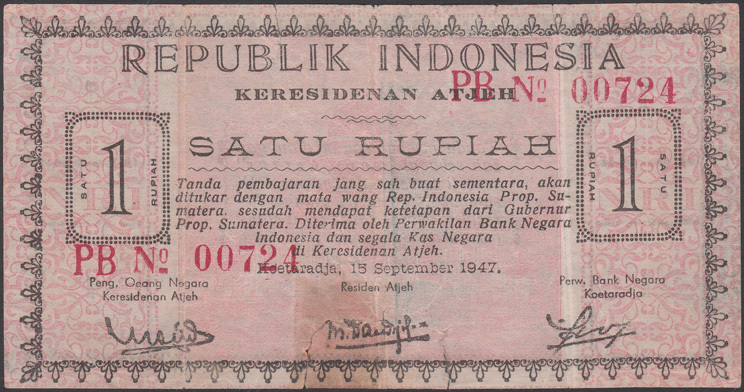 When the Netherlands formally transferred sovereignty in 1949, Aceh became part of the new Indonesian Republic. 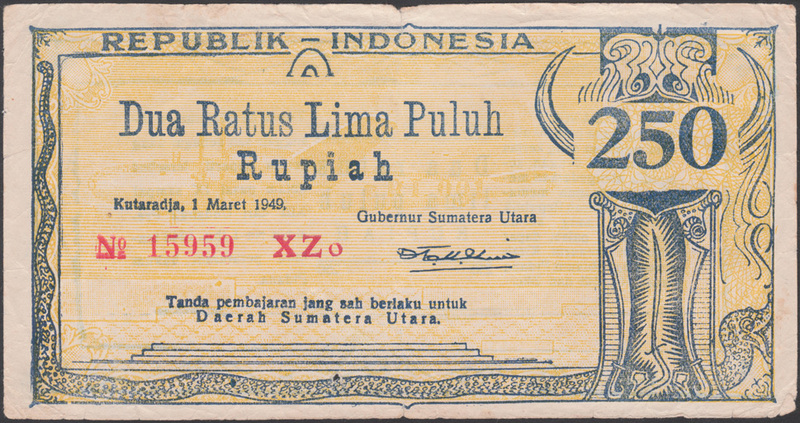 During the revolutionary period from 1945 – 1949, several issues of paper money were produced in order to support the local monetary system. 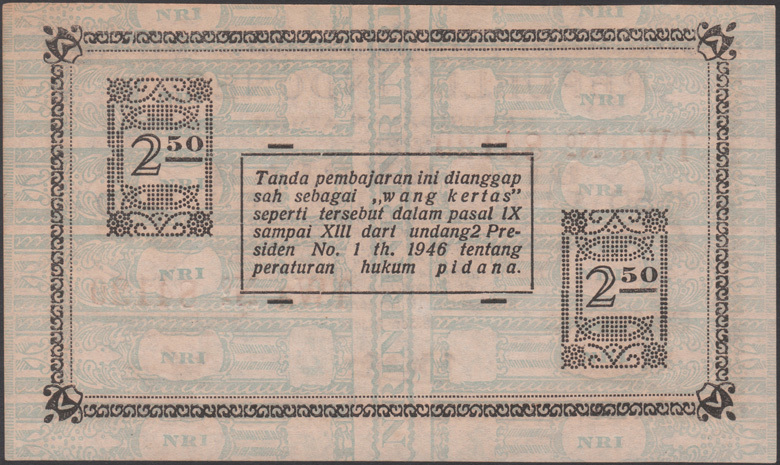 Below you will find and overview of the paper money that was issued by the local authorities in Koetaradja in 1947 – 1949. 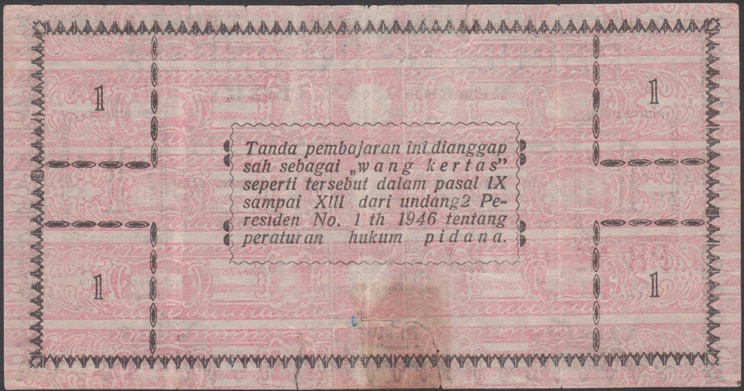 The reverse of the note in the picture is printed upside-down. 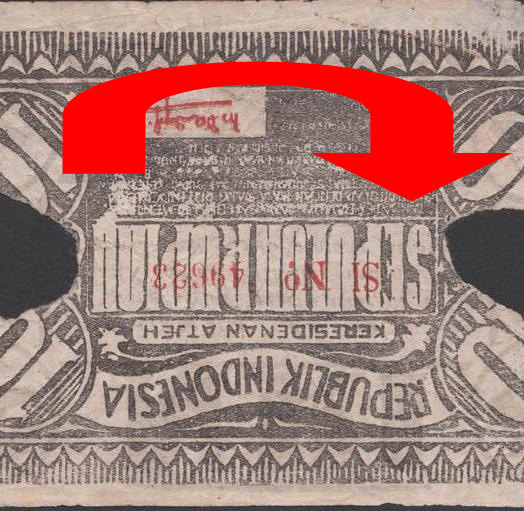 This note only occurs with two large holes in the paper, one on the center left side and one on the center right side. There is a lot of speculation about the possible origin of these holes. 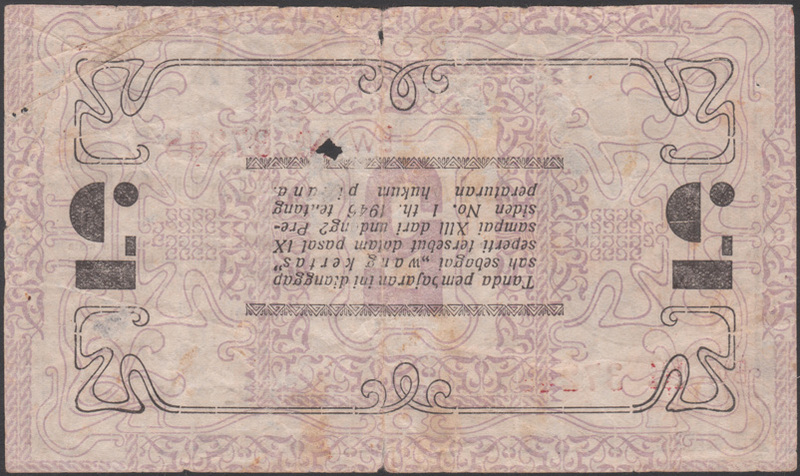 there are even stories about mice eating their way through a bundle of these notes. In order to make these notes invalid, they were folded where I marked the notes with a red line. 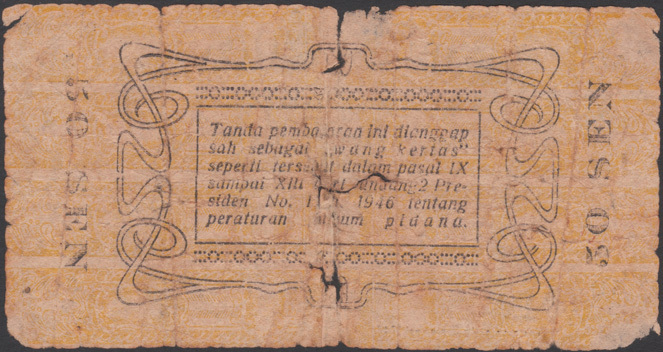 Next, someone took the note on one side and tore out a piece of paper, between finger and thumb. 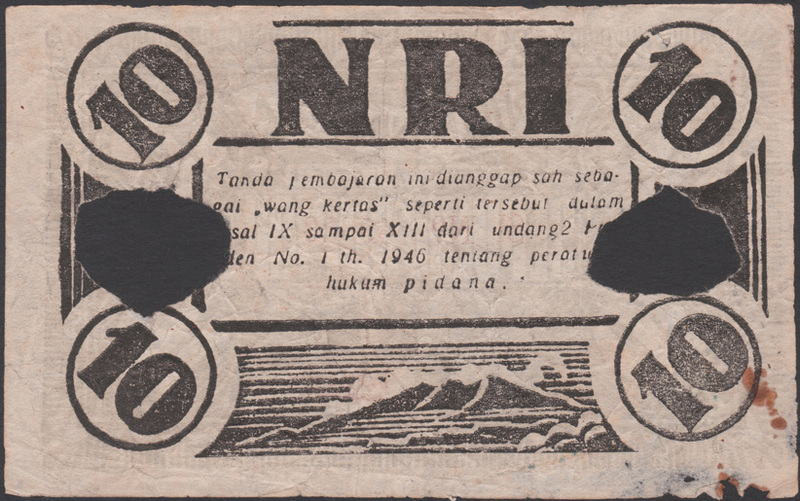 Then, the note was turned 180 degrees and again a piece was torn out in the same way. The above steps result in the note having two holes: the right hole having a point pointing downwards while the point in the left hole always points upwards. 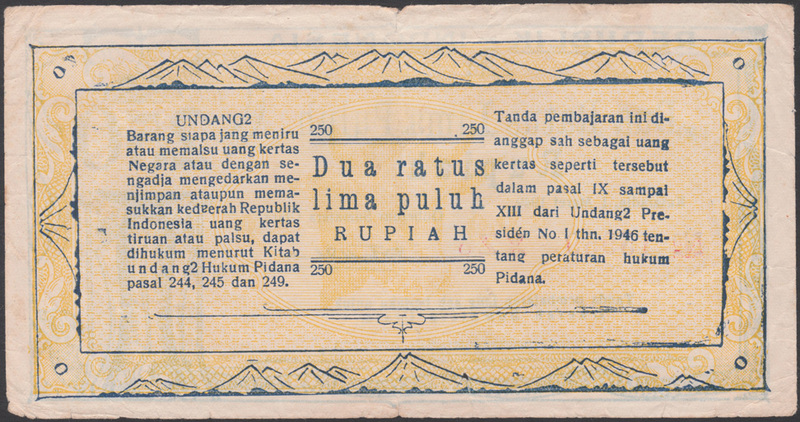 The Katalog Uang Kertas Indonesia 1782 – 1996 also mentions the notes H625 (2 1/2 Rupiah) and H626 (5 Rupiah). Unfortunately these notes have never been observed by the author to date.